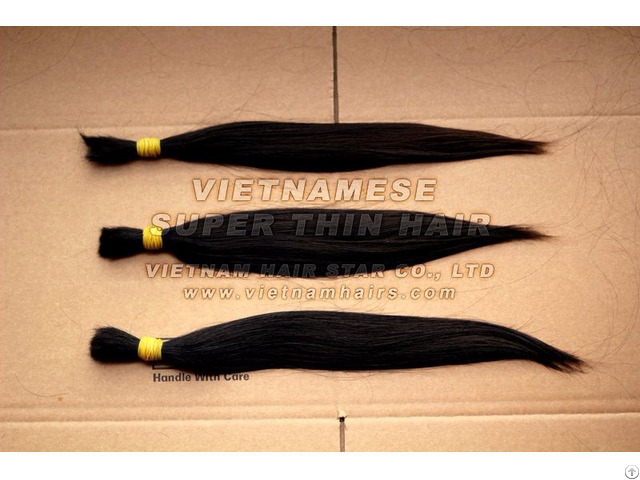 - Vietnamese super thin hair from young girls (baby girls, teen girls). 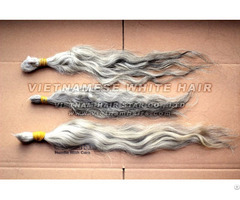 - 100% virgin hair, 100% real human hair, no henna. 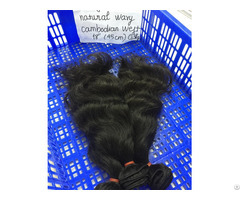 - 100% natural hair (no treatment with chemical, not dyed, not bleached). 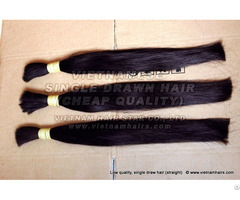 - 100% remy hair (no tangled, all hairs are same direction from top to bottom). - Only washed with shampoo. No lice, no nits. - Very suitable for Jewish wigs. - Texture: straight, very light wavy. Note: Limited quantity per order: 30 kgs. Please contact us for more information about product! Packing: Sack, carton box or depend on your requirements. Shipping: Express service (DHL/FedEx/EMS/TNT) or Cargo service (Airlines). Payment: Cash, Bank transfer (T/T), Money transfer (MoneyGram/Western Union), VISA/MasterCard.